India’s iPad challenger Adam, received favorable initial reviews during its appearance in the 2011 Consumer Electronics Show (CES) in Las Vegas and was labeled as one of the gadgets to watch out for in 2011. 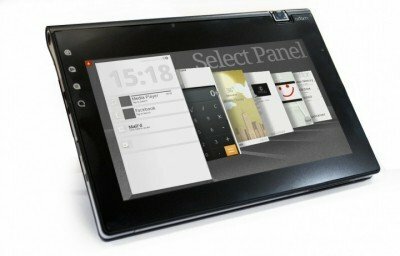 Adam comes with a 10.1″ touchscreen device, measures 0.6-inch thin and weighs 770 gm and is based on Google’s Android OS. Adam will integrate two power saving components, nVidia’s Tegra 2 chip and a Pixel Qi screen. Its Lithium-ion battery will provide up to 48 hours standby, 8hrs of high definition video playback or 16hrs of Internet surfing over WiFi. It is therefore expected to give twice the battery life and performance of the iPad. Notion Ink’s Adam is expected to cost around INR 15,000 or around USD 350 when it is launched. You can see its Tech Specs here. For more developments on Adam you can check out its blog. Wrong- It ships within this week. Just a little worried that is says to be released in June 2011? What’s your source for this? And i’m very interested in knowing where you got the info about the batterylife and the fact that it would be available in June 2011? Most of the info has been sourced from the companys blog/site. I stand corrected about the release date and the post has been edited. Should have called it Eve. She ate the Apple. So which date is more acurate, teh june date, or the Jan 11th date that has allready passed without shipment? Where did the June date come from? Adam Ink has received FCC clearance and will probably update the status on the FCC website either today or on Monday. This means that it will start shipping around Wednesday. So you can expect Adam Ink to be available within the week.